We can help you with Life Insurance Approval with Arteriosclerosis Obliterans! Having trouble finding affordable life insurance with Arteriosclerosis Obliterans? Can Individuals with Arteriosclerosis Obliterans Qualify for Life Insurance? Yes, most individuals with Arteriosclerosis Obliterans will be able to qualify for traditional life insurance, the type of insurance which requires a medical exam. 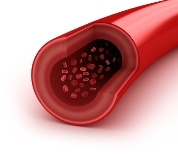 Best Case Scenario – The best case scenario for Arteriosclerosis Obliterans is one that has controlled cholesterol levels and no signs of heart problem involvement. Although blockages in Arteriosclerosis Obliterans commonly appear in lower extremities, they may also appear in other areas of the body. And an unstable cholesterol level may be a sure sign of a heart artery involvement that can lead to a heart attack. If Arteriosclerosis Obliterans is detected early and cholesterol levels are controlled, most cases have a “Medium Substandard” rating. Click here for quote at “Medium Substandard”. Severe Case – Arteriosclerosis Obliterans may have serious complications like stroke, heart attack or even death. With cases that have a history of the former two, but whose symptoms are controlled and lifelong damages such as brain injury or permanent motor disabilities are prevented, the best possible approval is at a “Severe Substandard” rating. Click here for a quote at “severe substandard”. How many years since you were diagnosed with Arteriosclerosis Obliterans? Arteriosclerosis Obliterans is a slow progressing condition if proper management is employed. So, if you have been diagnosed early of this condition, proper management done and complications are prevented, then the best rating of “Medium Substandard” may apply for you. Symptoms such as muscle pain, limb numbness or walking problems may be flare signs that may get you a “Severe Substandard” rating. Have you been diagnosed of other medical conditions? There are medical conditions that are associated with Arteriosclerosis Obliterans such as hypertension, heart disease or ischemia. Presence of these medical conditions is not a good sign and may get you a “Severe Substandard” rating or a decline depending on the severity of complications. Do you have regular check-ups with your doctor? Regular visits to your doctor mean that your condition is controlled and life insurance companies see this as a good sign. Recent laboratory and diagnostic tests such as blood cholesterol or echocardiogram are the best means to assess your actual medical condition. This may also confirm your compliance with your doctor’s management. Arteriosclerosis alone simply refers to hardening or loss of elasticity of the arteries, which is previously known as myoconditis. A most common type of this condition is called Arteriosclerosis Obliterans, and another is medial calcific sclerosis also called Monckeberg’s calcific sclerosis. Arteriosclerosis Obliterans is usually seen in the large arteries of the thighs and legs. Common symptoms include cold and pale limbs, muscle pain, numbness of extremities, walking or gait problem and absence of pulse in limbs. In severe cases alteration in the color of the limbs, weakness, dizziness and chest pain may also be observed.